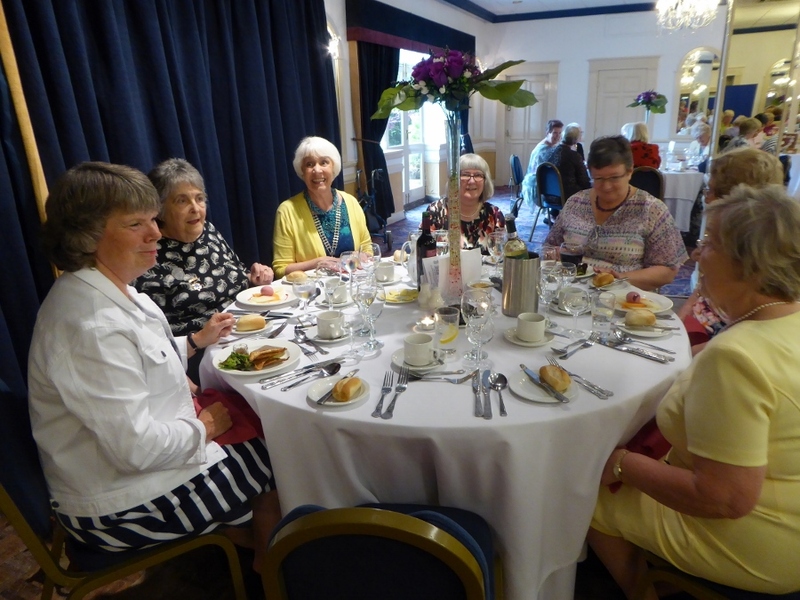 26th – On Sunday 9 of us made the very short journey to the annual Regional Lunch, which is always held at the Crofters the day after the Regional Meeting. As usual the food was delicious and the service speedy and efficient. Well done Nicola and staff. Blackpool won the Darwen Shield for the GIFT Box and modern slavery but this was only the tip of the iceberg for the work they have done. Blackburn won the Carnforth trophy for their commitment to Humraaz, an Asian Women's refuge which they have been involved with for 5 years. 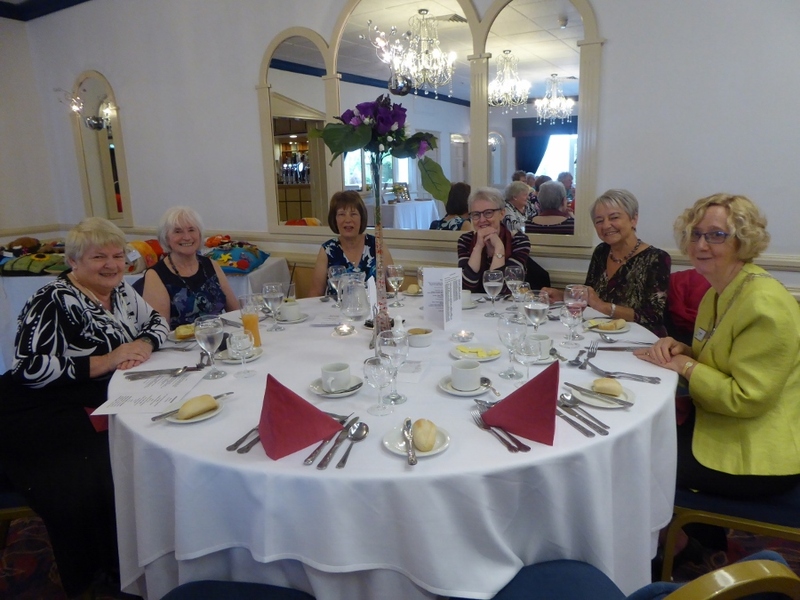 The Rosebowl competition for the Sensory Cushions was won by Rishton and Great Harwood, with Windermere and Grange coming 2nd and 3rd respectively. Garstang were disappointed, but the standard of entries was absolutely superb and we can’t fault the decision. Cushions are now on their way to various destinations to hopefully provide some interest/comfort to those suffering from Alzheimers. One of the shortest I’ve ever attended! The initial items of the agenda were ticked off almost within minutes. The Regional Treasurer told us that we now had 318 members in the Region, 12 fewer than last year. Tricia Coll and Lynn Yates gave a presentation on their visit to Swaziland for the PIES project – it showed just how much our donations are helping these children, orphans of the AIDS epidemic. Judith gave her report as Federation Councillor and expressed disappointment at the numbers from this Region applying for the Development Day/Conference in Manchester. 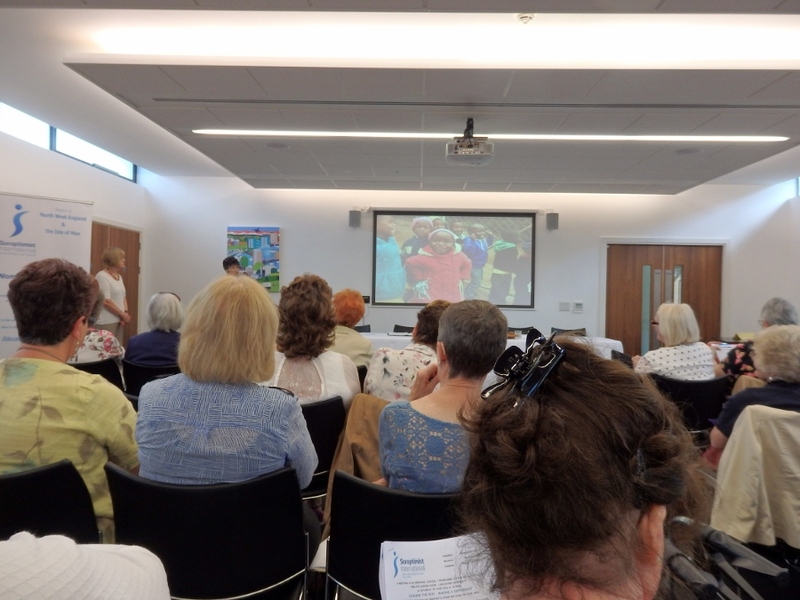 Susan reported on the South Lancs Regional Conference, giving us an insight into the speakers’ presentations. She also expressed disappointment at the low level of representation from our region. Joan demonstrated the newly launched Regional Website and advised how items could be submitted for it. She received a vote of thanks from the President of Blackpool club and a very appreciative round of applause from the audience. 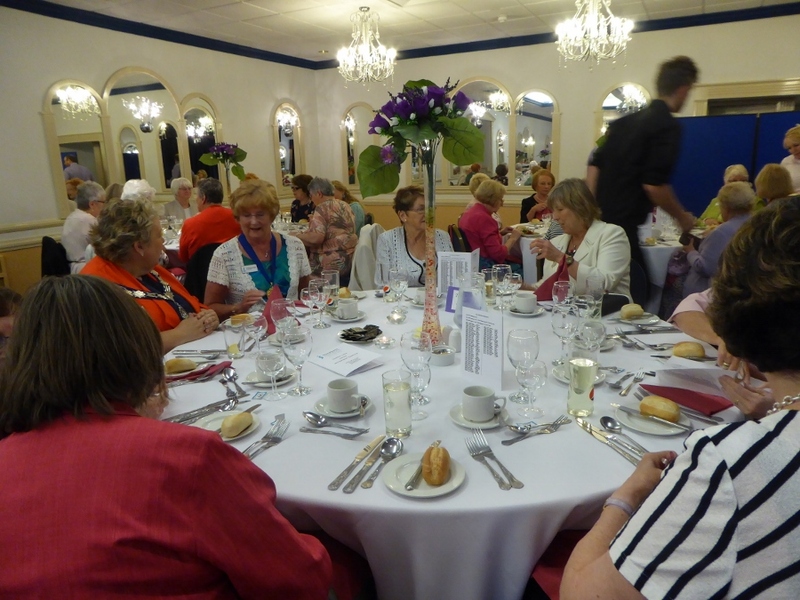 We managed to cram in most of Ruth’s Programme Action items before lunch, including a presentation by SI Grange over Sands on their White Ribbon Project, which aims to raise awareness in MEN about violence against women. They targeted areas and times where men were most likely to be, e.g. a thoroughfare leading from the shipyard, and persuade men to listen to them and wear a White ribbon Sticker. They also targeted secondary schools, where the teachers used the project materials to deliver PHSE lessons throughout the school. 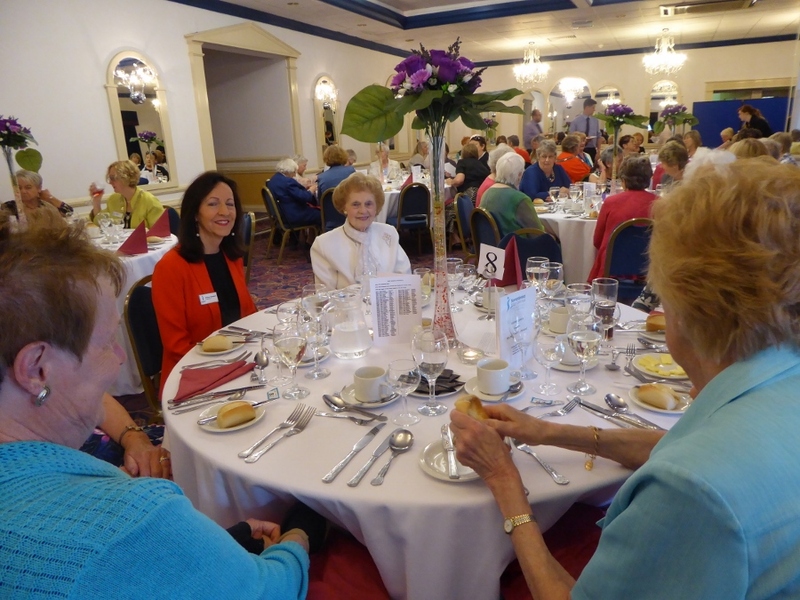 Lunch: wouldn’t normally merit a mention but at this meeting Rosemary suggested that we sit on tables for presidents, secretaries, treasurers, PA officers, and use the opportunity to talk to other clubs. I found it really useful. SI Blackburn gave a presentation about their Conference on Child Poverty. It is sobering to think that more than 100 years after Joseph Rowntree’s research into child poverty in York, in which he identified one third of children living in poverty, the research for the conference showed the same proportion of children in the area in poverty today. Avert Project: Inspector Christina Shorrock and Avert Project Worker Abbie Barcroft gave a presentation on the project and how it helped to keep women out of prison. 93% of those who engage fully with the project do not re-offend. Concern was expressed about funding cuts leading to Women’s Refuges been closed down. 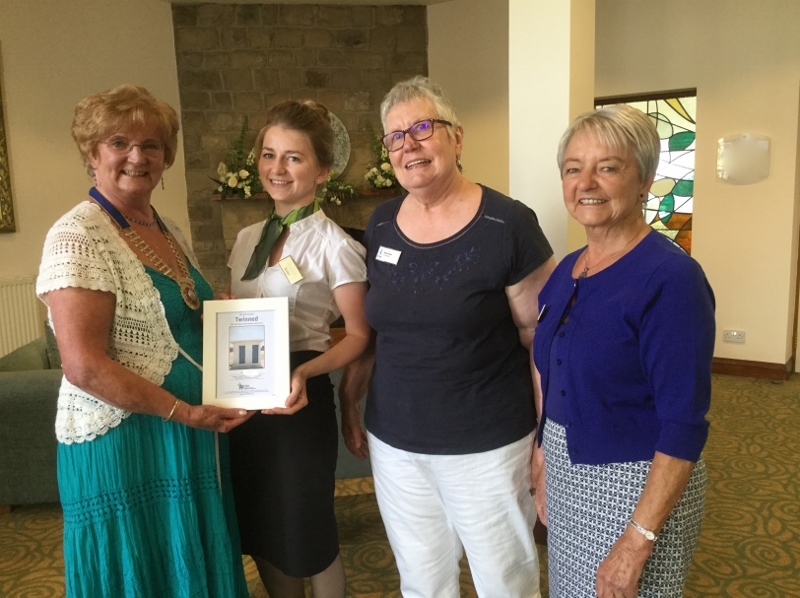 20th – Garstang Soroptimists visited the Garstang Golf and Country Hotel to present our Toilet Twinning Certificate, and hotel representative Rachel was on hand to take delivery. 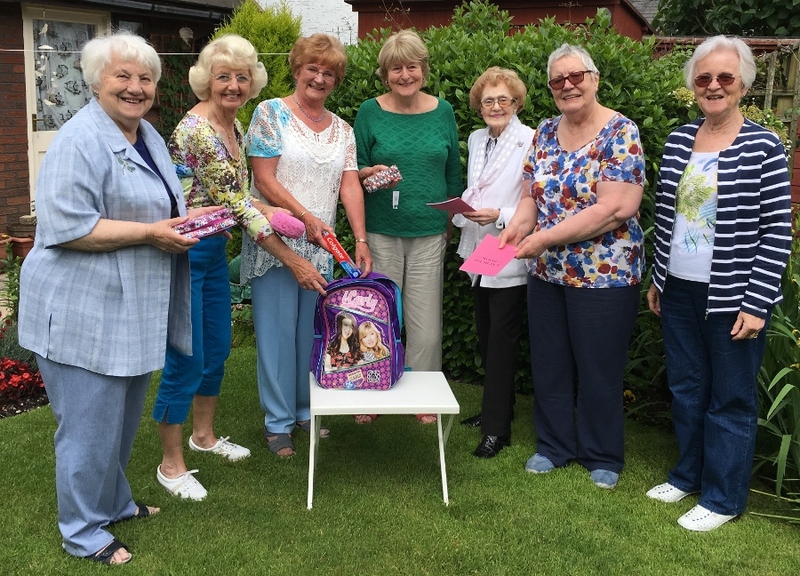 During the last year, club members raised money for this project by putting loose change into collection boxes, and the Golf Club kindly contributed by donating the monies for refreshments at one club meeting to the collection. 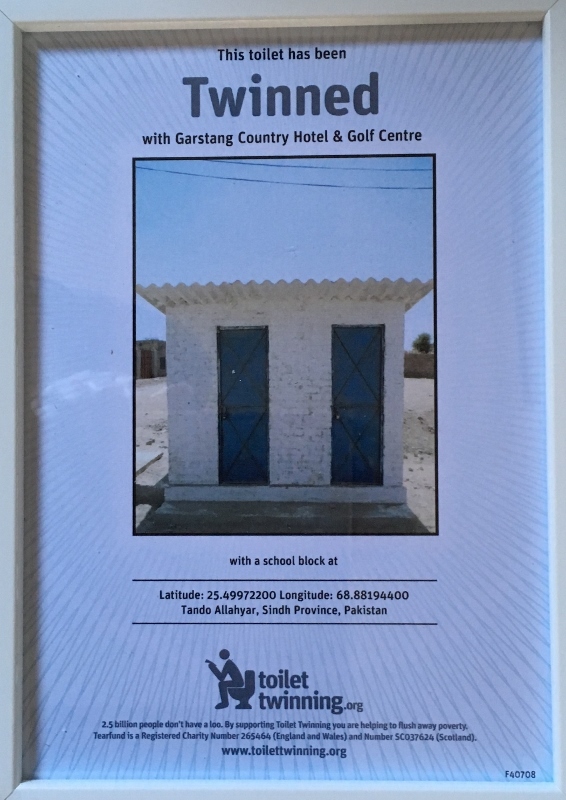 This enabled us send £240 off which has gone to build a toilet block in Pakistan. 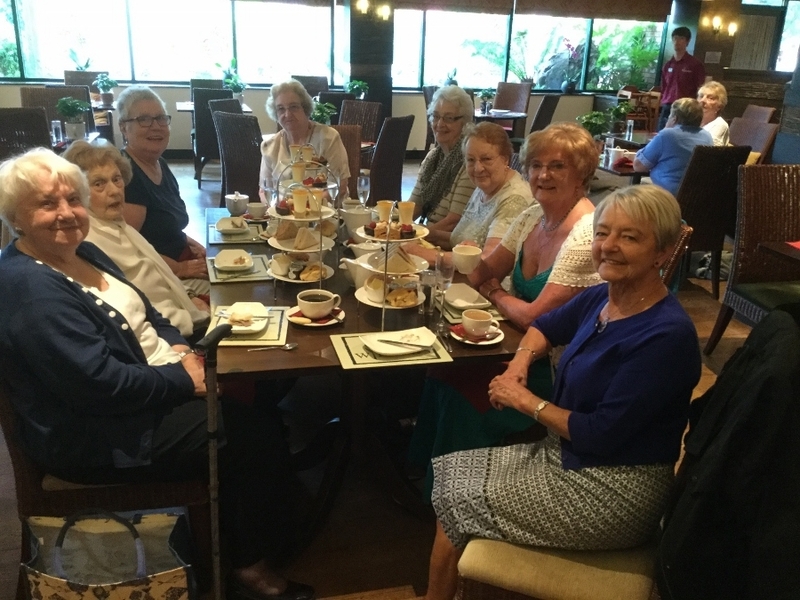 20th – After the presentation, some of our members enjoyed afternoon tea in the Willows restaurant at Barton Grange Garden Centre. 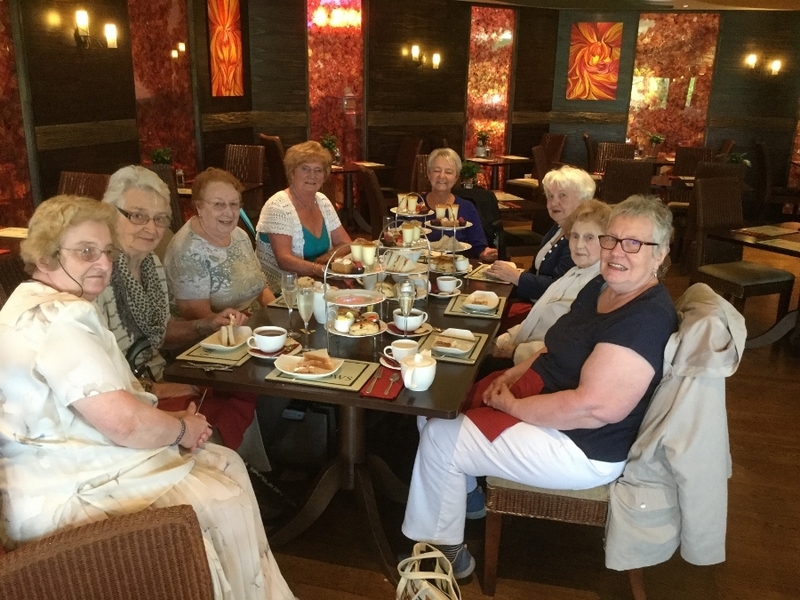 18th – On Saturday, Annemarie ordered the sunshine and cooked up a spread of cakes and scones to nourish ‎Garstang‬ ‎Soroptimists‬ and friends at a very enjoyable Coffee Morning. 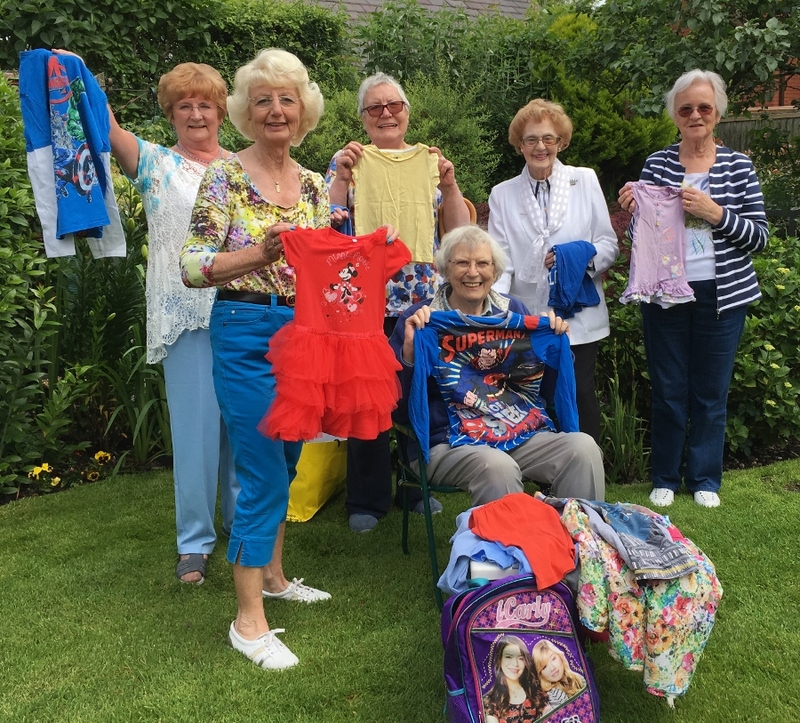 Children from Forton School had recently donated four bags of clothing to help with our Backpack project, so club members had a quick look…. We also set about filling another Backpack which is destined to be number 200! Well done everyone who has contributed in any way, but it’s not over yet. Wonder what our next target will be? 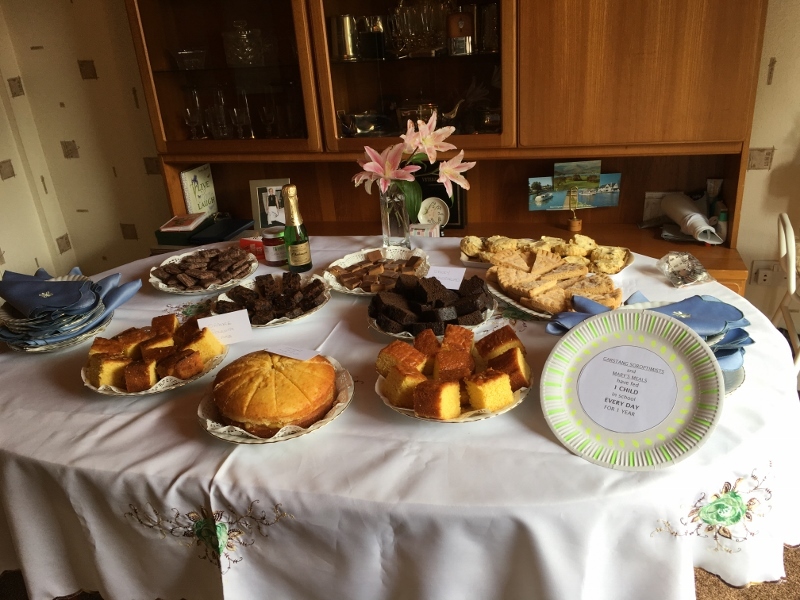 And finally, donations for the refreshments raised £82 to go into this year’s collection for Mary’s Meals main work of feeding children in countries where poverty and hunger prevent children from getting an education. That means six children fed for a whole year, and halfway towards a seventh.